Missed Canada Day by just over a week, oh well. 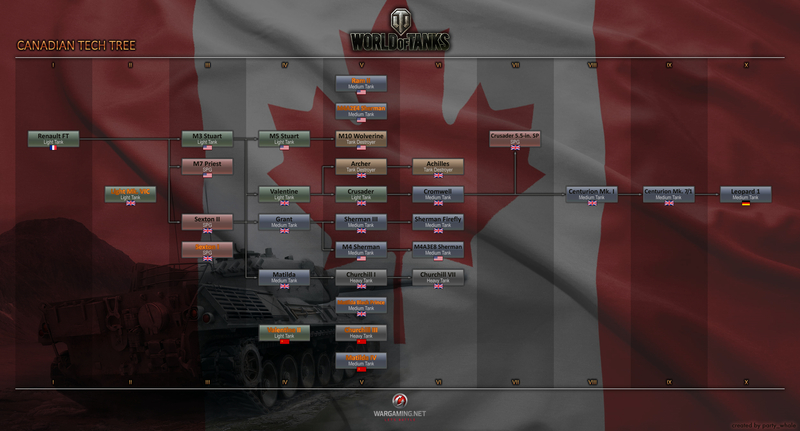 Now and then, someone on the WoT forums complains about the lack of a Canadian tech tree. I’m not sure how great a real Canadian tech tree would be in game since it would mostly clone tanks from other trees, but I thought I’d put this together, based on tanks that are already available in-game, for aspiring Canadian tankers. It’s done in the style of the tech tree images found on the WoT website. 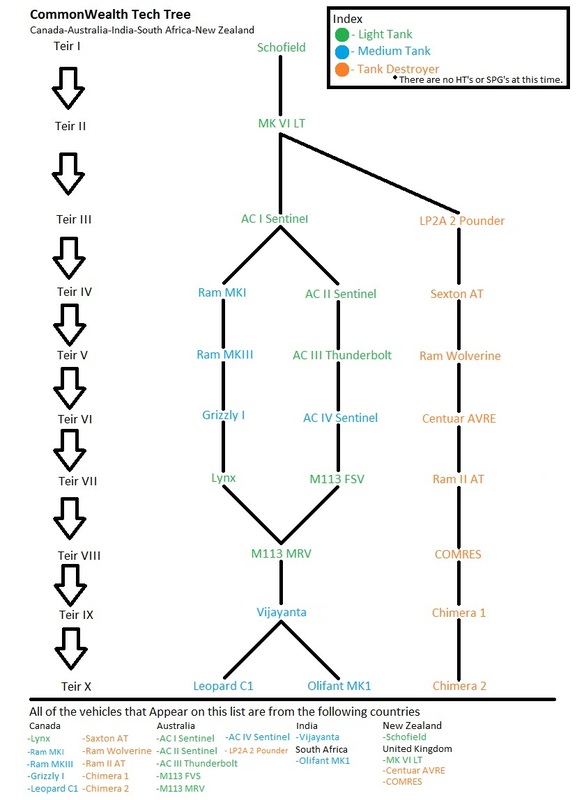 This tech tree is for tanks used by Canadian Armed Forces or produced in Canada at some time or another. Although some of these tanks are fine as-is, many of them are standing in as “equivalent” tanks (e.g. the M4 Sherman is standing in for the Grizzly I, which was a mod of the M4). They’re usually close enough. If anyone wants a full list of real tank -> in-game equivalent, I’d be happy to provide. I think that an Independent Common Wealth Tech Tree along side a British Tech Tree would make the most sense since both ‘tech trees’ could be made relatively full without cannibalization of one another.